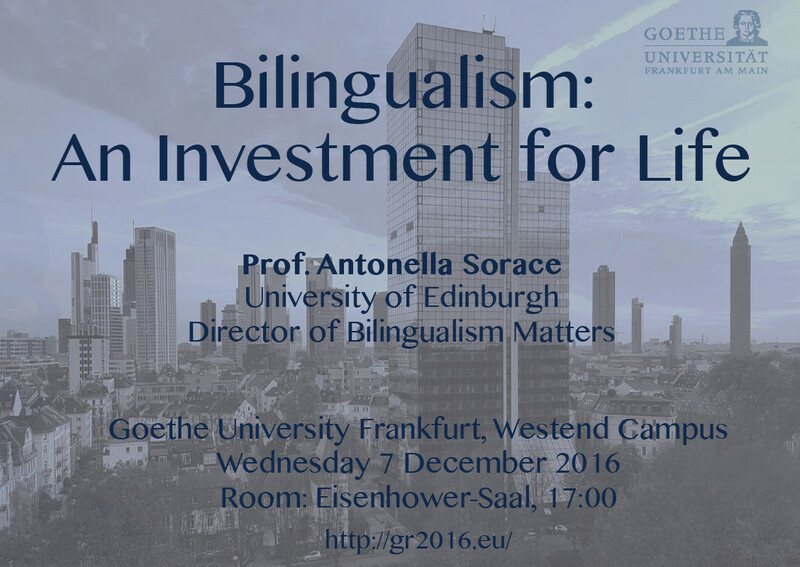 Prof Antonella Sorace is in Frankfurt today to give a talk entitled “Bilingualism: An Investment for Life”, at Goethe University Frankfurt. Bilingualism Matters Director Professor Antonella Sorace has been interviewed by US media organisation NPR (National Public Radio) for a piece on some of the potential brain benefits of bilingual education. The six areas discussed are: attention; empathy; reading; school performance and engagement; diversity and integration; and protection against cognitive decline and dementia. Read all about it on the NPR website: 6 Potential Brain Benefits Of Bilingual Education. Earlier this month in the USA, the people of California voted to overturn the historic ban on bilingual education within their state. In an interview with Public Radio International (PRI), Thomas Bak, Deputy Director of Bilingualism Matters in Edinburgh, shares research findings that may have helped changed attitudes to bilingualism and bilingual education. Find it at 28 to 33 minutes below. Read about it on the PRI site. Calls for research participants of all ages and linguistic backgrounds are posted here, as and when participants are required. Current and previous calls can be browsed below to get a flavour of the different kinds of studies undertaken here. Follow us on Twitter @BilingMatters or Facebook to keep up to date with our work, and sign up for our newsletter to get quarterly updates from us. 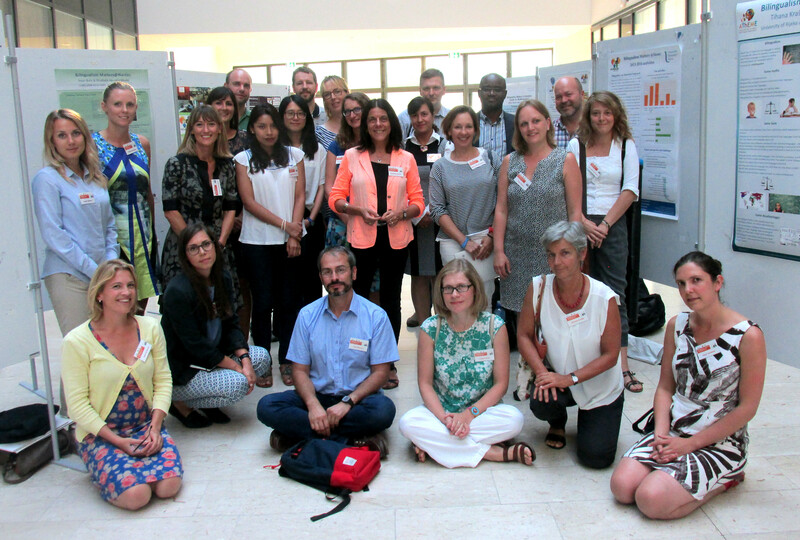 What is the Influence of Bilingualism on Development for Autistic and Non-Autistic Children?